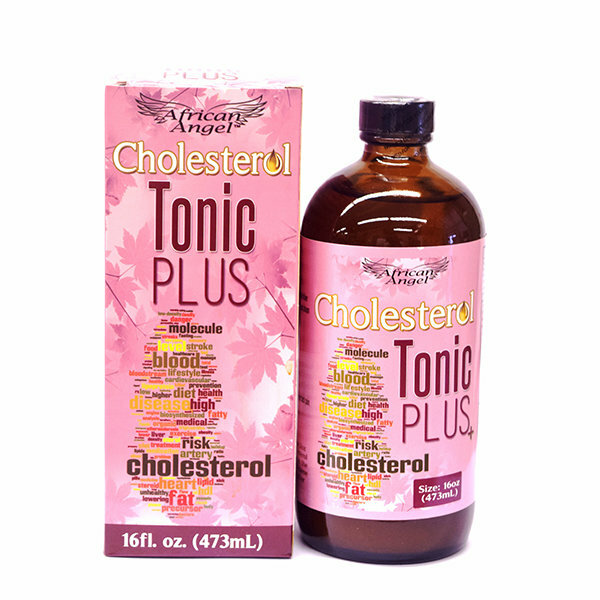 THIS TONIC IS FOR REDUCING CHOLESTEROL IN THE BODY. LOWERS RISK OF HEART ATTACK. IT STOPS NUMBNESS OR COLDNESS. ALFALFA, FENUGREEK, FOTI, DANDELION, FLAXSEED, BARLEY GRASS, PUMPKIN SEED, OAT STRAW, PSYLLIUM, NETTLE, ARTICHOKE, GREEN TEA, BLACK TEA, YUCCA, ROSEMARY, MOTHERWORT, APPLE PEEL, CELERY. A PERENNIAL HERB, IT HAS TRIFOLIATE DENTATE LEAVES WITH AN UNDERGROUND STEM THAT IS OFTEN WOODY. ALFALFA IS USED FOR KIDNEY CONDITIONS, BLADDER AND PROSTATE CONDITIONS, AND TO INCREASE URINE FLOW. IT IS ALSO USED FOR HIGH CHOLESTEROL, ASTHMA, OSTEOARTHRITIS, RHEUMATOID ARTHRITIS, DIABETES, UPSET STOMACH, AND A BLEEDING DISORDER CALLED THROMBOCYTOPENIC PURPURA. USED FOR TREATING TUBERCULOSIS THAT HAS SPREAD TO THE LYMPH NODES, CANCER, INFLAMMATION OF THE PROSTATE (PROSTATITIS), AND CONSTIPATION. IT IS ALSO USED AS A LIVER AND KIDNEY TONIC. HERBAL DIURETIC; RELIEVES TEMPORARY WATER WEIGHT GAIN; FLUSHES BLADDER & URINARY SYSTEM. NOTE: BOTH DANDELION LEAF AND ROOT SUPPORT LIVER, GALLBLADDER & DIGESTIVE HEALTH, BUT HERBALISTS SAY THE LEAVES ARE MORE TARGETED FOR HEALTHY KIDNEY FUNCTION. IT HELPS IN THE CREATION OF ATP (ADENOSINE TRIPHOSPHATE, THE ENERGY MOLECULES OF YOUR BODY), THE SYNTHESIS OF RNA AND DNA, THE PUMPING OF YOUR HEART, PROPER BONE AND TOOTH FORMATION, RELAXATION OF YOUR BLOOD VESSELS, AND PROPER BOWEL FUNCTION. IT IS USED FOR JOINT PAIN, CRAMPS, LOW BLOOD PRESSURE, FEVER, SWELLING (INFLAMMATION), TOOTHACHE, SORES, ULCERS, AND CANCER (AS AN INGREDIENT IN HOXSEY CURE). PSYLLIUM ABSORBS LIQUID AND CAN GIVE YOU THE FEELING OF BEING FULL. PSYLLIUM’S BEEN PROVEN TO HELP PEOPLE WITH DIABETES MANAGE THEIR BLOOD SUGAR. IT IS USED FOR URINATION PROBLEMS RELATED TO AN ENLARGED PROSTATE (BENIGN PROSTATIC HYPERPLASIA [BPH]). THESE PROBLEMS INCLUDE NIGHTTIME URINATION, TOO FREQUENT URINATION, PAINFUL URINATION, INABILITY TO URINATE, AND IRRITABLE BLADDER. USED TO STIMULATE THE FLOW OF BILE FROM THE LIVER, HELPS REDUCE THE SYMPTOMS OF HEARTBURN AND ALCOHOL. ARTICHOKE IS ALSO USED FOR HIGH CHOLESTEROL, IRRITABLE BOWEL SYNDROME (IBS), KIDNEY PROBLEMS, ANEMIA, FLUID RETENTION (EDEMA), ARTHRITIS, BLADDER INFECTIONS, AND LIVER PROBLEMS. USED FOR OSTEOARTHRITIS, HIGH BLOOD PRESSURE, MIGRAINEHEADACHES, INFLAMMATION OF THE INTESTINE (COLITIS), HIGH CHOLESTEROL, STOMACH DISORDERS, DIABETES, POOR CIRCULATION, AND LIVER AND GALLBLADDER DISORDERS. WOMEN USE ROSEMARY FOR INCREASING MENSTRUAL FLOW AND CAUSING ABORTIONS. IT IS ALSO USED TOPICALLY FOR PREVENTING AND TREATING BALDNESS; AND TREATING CIRCULATION PROBLEMS, TOOTHACHE, A SKIN CONDITION CALLED ECZEMA, AND JOINT OR MUSCLE PAIN SUCH AS MYALGIA, SCIATICA, AND INTERCOSTAL NEURALGIA. IT IS ALSO USED FOR WOUND HEALING, IN BATH THERAPY (BALNEOTHERAPY), AND AS AN INSECT REPELLENT. MOTHERWORT, ALSO KNOW AS LEONURUS CARDIACA, DOES MUCH TO CALM THE EXCESS OF ENERGY WHICH COURSES THROUGH THE HEART AND NERVOUS SYSTEM. USED FOR HEART CONDITIONS, INCLUDING HEART FAILURE, IRREGULAR HEARTBEAT, FAST HEARTBEAT, AND HEART SYMPTOMS DUE TO ANXIETY. IT PACKS MOST OF THE VITAMINS. THAT SAME MEDIUM APPLE WITH SKIN (APPLE PEEL) PACKS 8.4 MILLIGRAMS OF VITAMIN C AND 98 INTERNATIONAL UNITS (IU) OF VITAMIN A. DITCH THE SKIN AND THAT FALLS TO 6.4 MILLIGRAMS OF VITAMIN C AND 61 IU OF VITAMIN A. IT CAN ALSO EASE BREATHING PROBLEMS.